With a stay at Toya Kohantei in Toyako, you'll be just steps from Toyako Onsen and Oshamanbe Onsen. Featured amenities include complimentary newspapers in the lobby and luggage storage. Free self parking is available onsite. 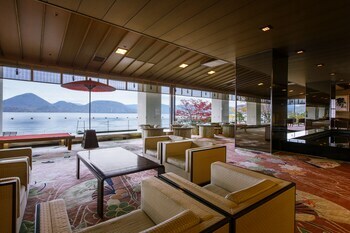 Located in Fukuoka (Chuo-ku), 5th Hotel is within a 10-minute walk of Kushida Shrine and Hakata Machiya Folk Museum. Self parking (subject to charges) is available onsite. With a stay at Land Haus Dancru Netz in Hakuba, you'll be a 1-minute walk from Hakuba Ski Area and 7 minutes by foot from Hakuba Art Museum. Free self parking is available onsite. With a stay at Guesthouse Ochakare in Kanazawa, you'll be just steps from D.T. Suzuki Museum and Ninjadera.